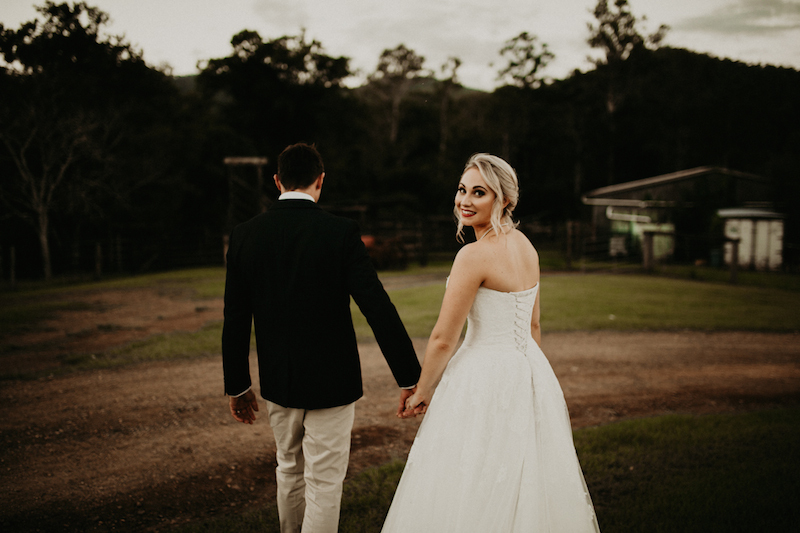 Having just bought a property themselves, this couple went in search of a beautiful farm on the Sunshine Coast, and ended up with a very special farm shed wedding. 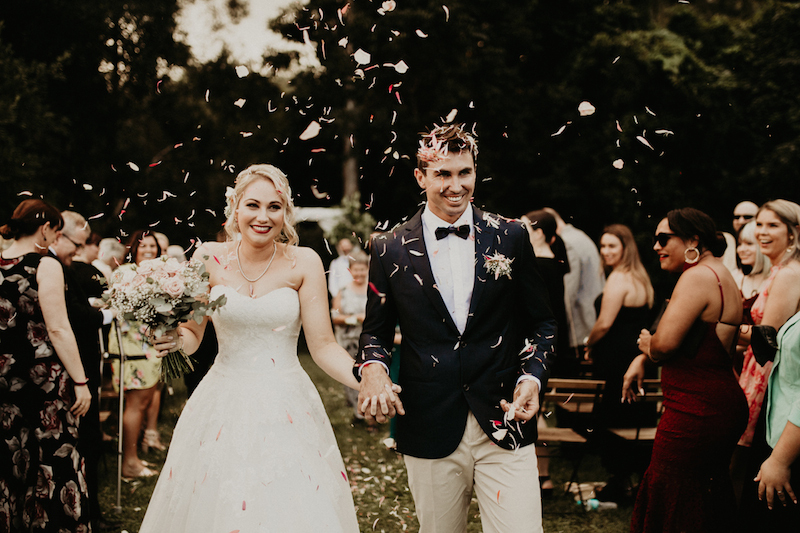 Keeping things simple and reflective of themselves was the aim of the day for Kirsty-Lee and Alex when planning their Sunshine Coast wedding. 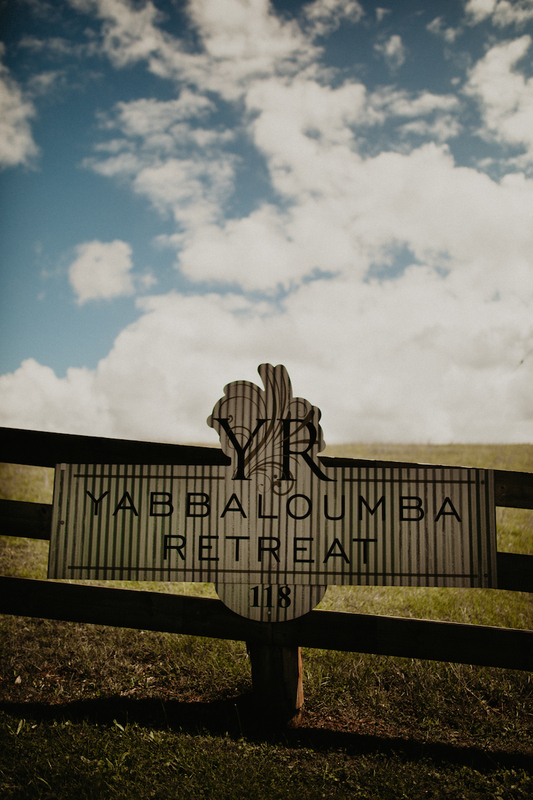 As soon as they found Yabbaloumba Retreat, they knew they had found The One. 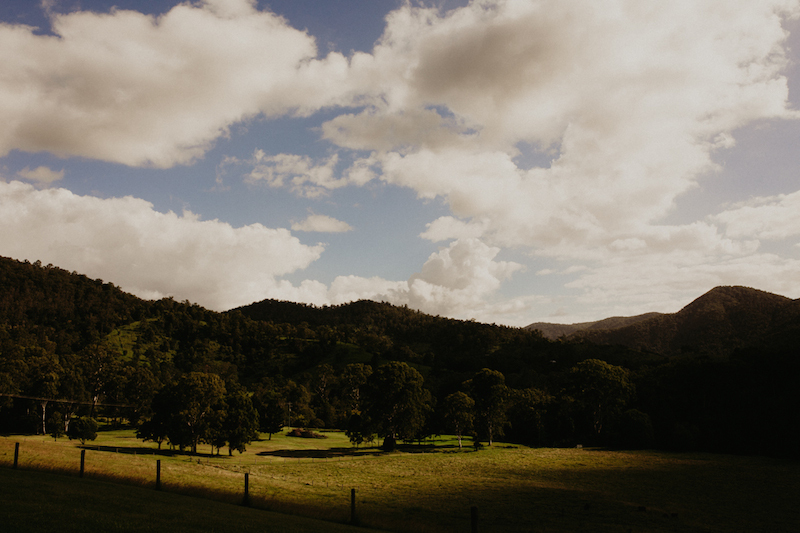 Bride, Kirsty-Lee shares her memories from the day. 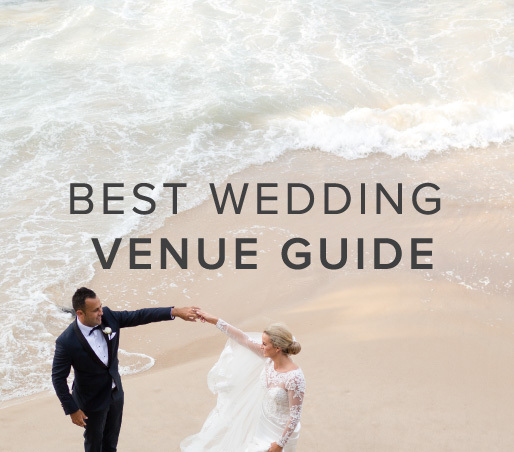 On that note, take a looksee through the images from Kirsty-Lee and Alex’s special day, taken by Graeme Passmore Photography. 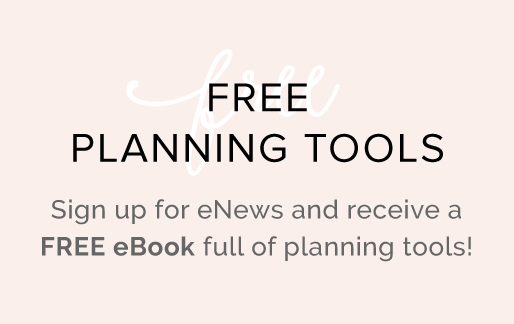 “We did as much as we could ourselves, including the invites, decorations, favors, and place cards. We made some amazing decorations, including pallet signs, twine balls, table numbers, cake stand. DIY: Decorations, favours and signage. 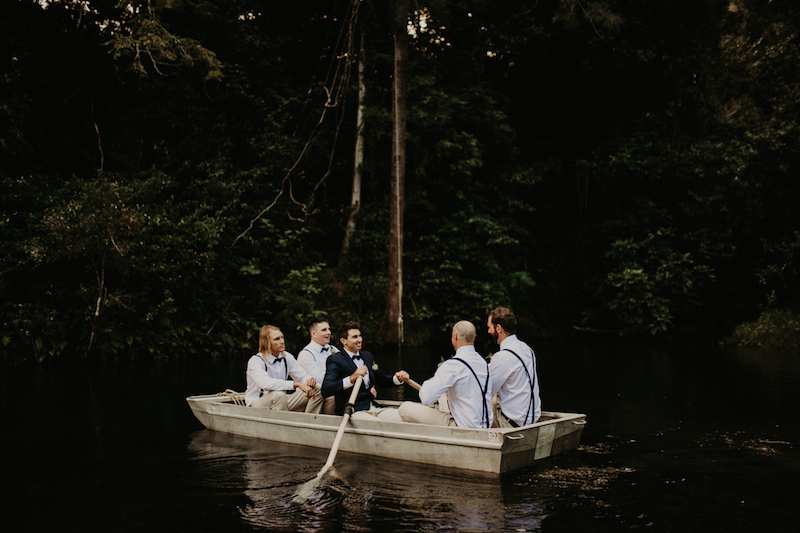 Alex rowed his bride to their wedding reception. How romantic!